Beverly Bennington’s earliest memories are of drawing and painting, even creating a mural of horses on the family walls. Her artistic abilities were nurtured by her family of artists and pilots. Her mother, a painter, had a particular impact on her work. 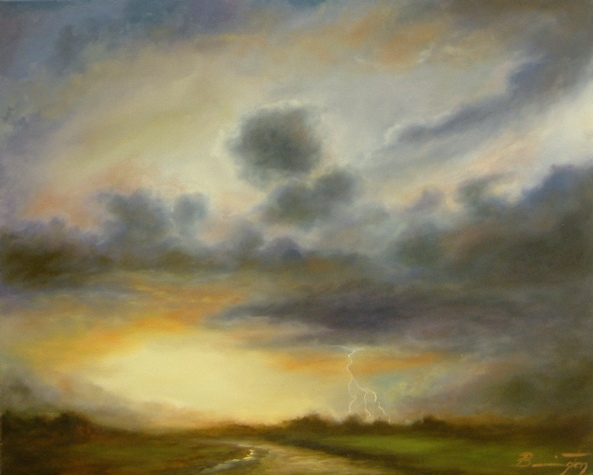 Born on the shores of Lake Michigan, Bennington was inspired to create images of great bodies of water, skies and clouds. As she flew across the country with her family of pilots, her love of clouds, sunrises and sunsets was formed. Always fascinated by the magnificence of cloud formations and the endless horizons, she used her camera to take thousands of photos that she uses as reference material in creating her artwork. Bennington attended the Art Institute of Chicago and Ray College of Design where she honed her eye for shape, line and color. In the design arena, she won national recognition and awards for her creativity and new concepts. 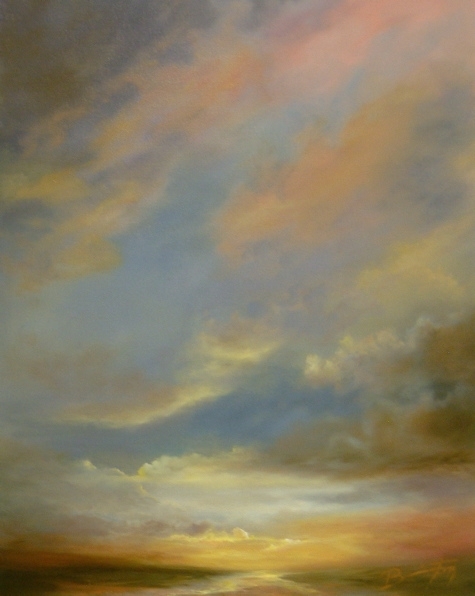 In her fine art, Bennington employs her oil paints as the masters did, utilizing many thin layers to capture the ethereal beauty of the heavens and inbue her paintings with an atmospheric feeling that captures the essence of the skyscapes she loves. Her paintings glow with a warmth and sensitivity as well as a freedom of spirit that speaks to each of us.